The Bigham Jewelers’ Service Department includes four Team Members: two Service Managers, a Rolex-certified Watch Technician, and a professional Bench Jeweler. How Will the Service Department Assist You? The Service Managers operate from two Service Windows to keep your waiting time as short as possible. They receive your Service requests, offer possible solutions and available cost estimates, obtain your agreement, provide an approximate Service completion date and issue a detailed Receipt for your item. When your item has been serviced, the Service Managers will contact you by phone or email that it is ready for pick-up during Store Hours, at your convenience. We invite you to visit us for possible Service needs outside of those listed above. We will do our best to find a good solution with you and for you. The cost of servicing your item depends on what is needed to restore it to its full beauty and function. After hearing your Service wishes and suggesting possible solutions, the Service Managers will provide an approximate cost range. If a Service cost estimate is not readily available at the time of your visit, the Service Managers will obtain the estimate, contact you for the estimate approval and proceed with the service completion only after you approve the cost estimate. 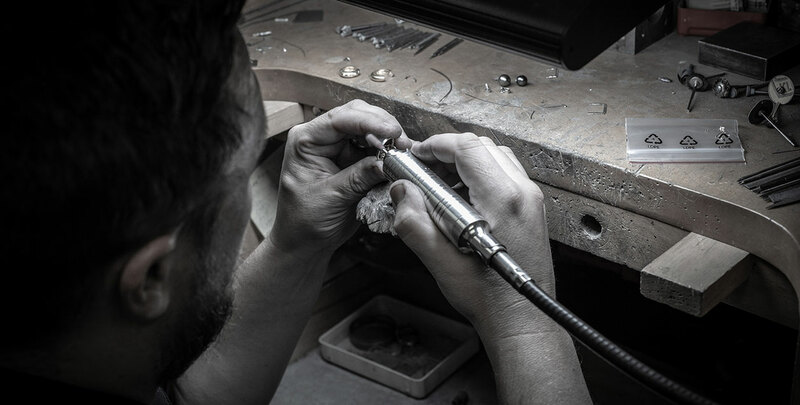 The Bigham Jewelers’ Service Department seeks to “under-promise and over-deliver”. We welcome your visit for all your fine jewelry and watch service needs.